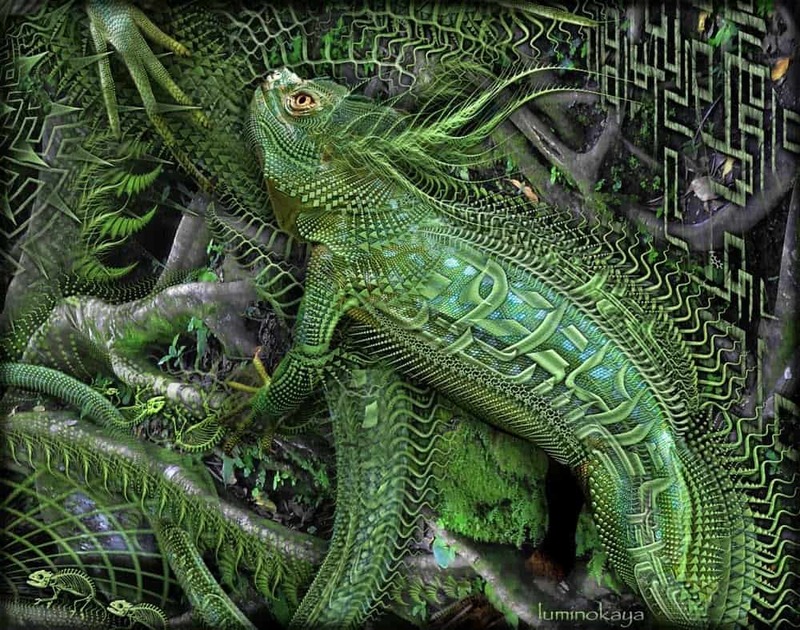 Ayahuasca is a brew prepared by using the bark and leaves of two separate trees found in the Amazon jungle. The Shamans in the Amazon have been preparing this brew for over 3,000 years now and it is amazing that they managed to figure out the only naturally occurring oral form of taking serotonin such a long time ago. 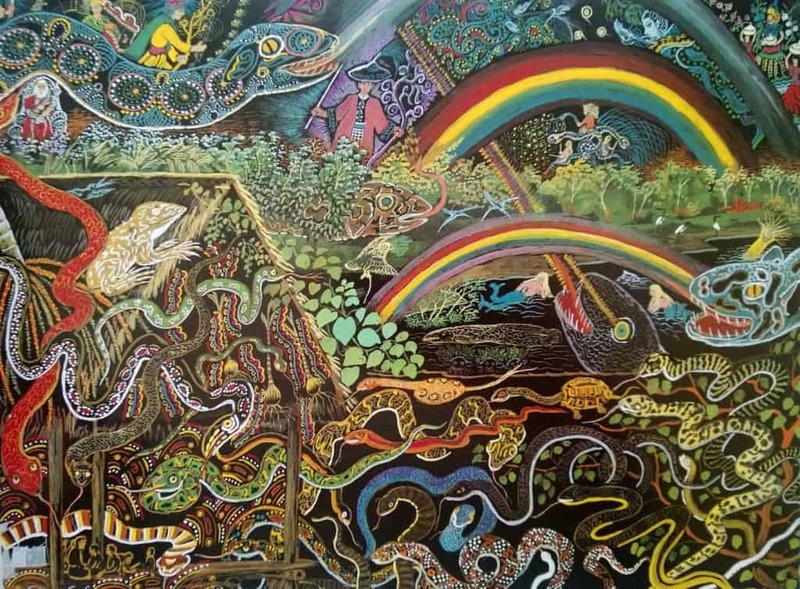 The ayahuasca experience is supposed to be wildly transformative, and thousands of people around the world make their way into the Amazon jungle each year to get a taste of this. Many artists have created stunning works after being inspired by the holy brew, and here are 10 of the best pieces featured in this list. 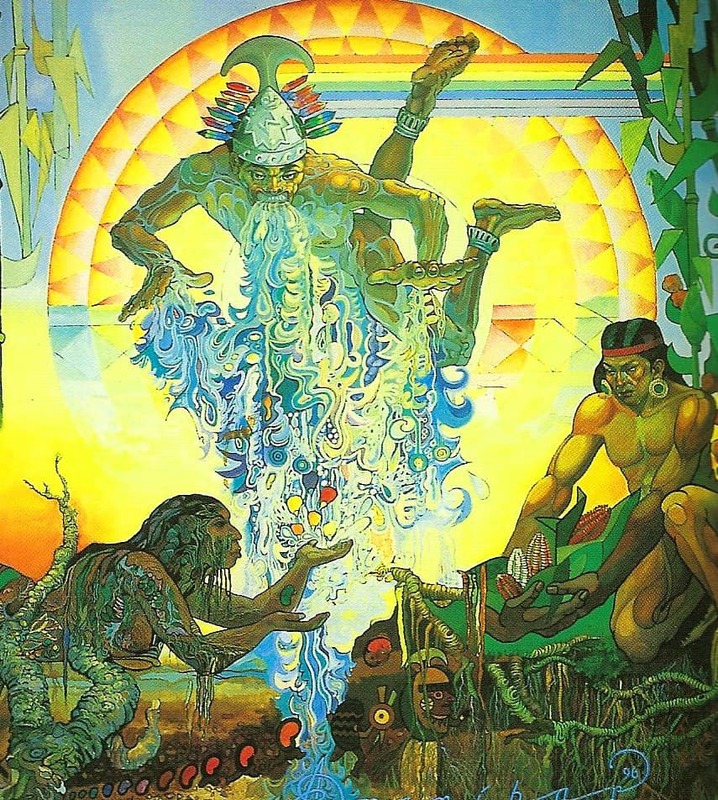 It is believed that many spirits and energies guide your ayahuasca experience and ensure that you make the most out of it. This piece of art pays tribute to those spirits. 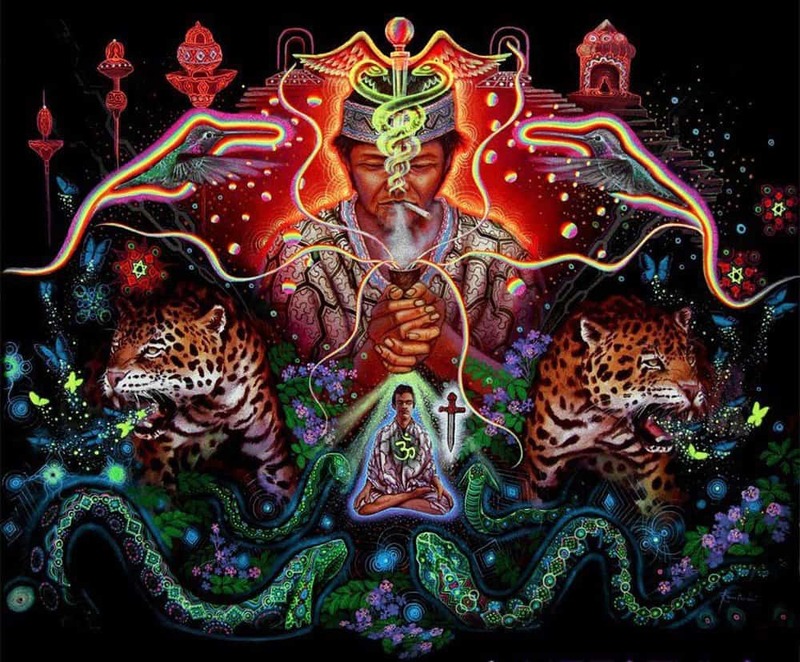 The ayahuasca experience is considered a ‘rebirthing’ process, and you are supposed to emerge a more evolved version of yourself. This painting shows us where we came from and where we could finally end up if we play our cards right. The glory of nature merges with the patterns in your brain to create a thrilling visual experience. For some reason, a commonly occurring visual is that of snakes and serpents representing your inner demons. This piece represents the harmony exorcising your demons brings to your mind. The Shamans are supposed to be your guiding light during the ceremony and the ensure that you find your connection with nature. This piece salutes both these vital facets. 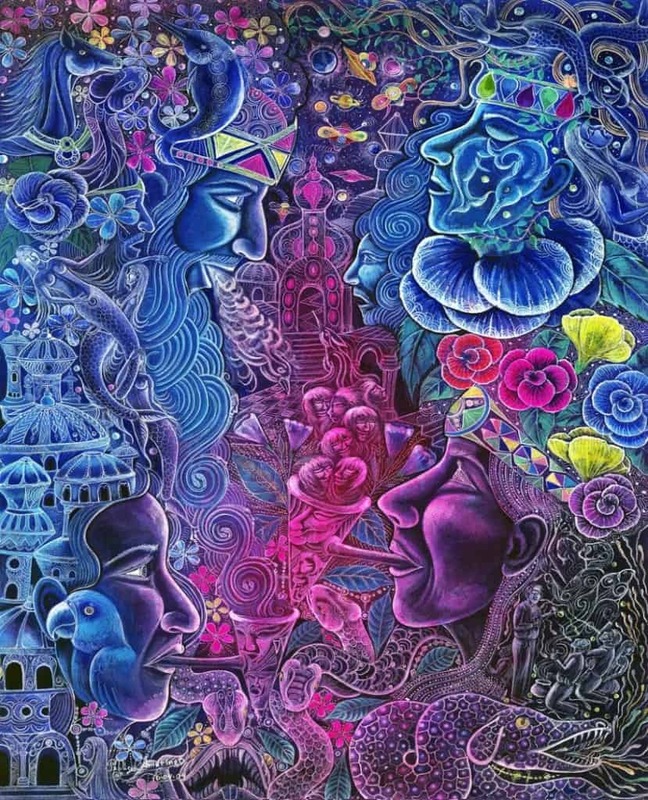 This complex and layered artwork represents the multitude of dimensions you encounter during this spiritual journey. Each realm has a unique message to offer your mind. This piece of art talks about how our mind has the unique ability to focus on the minute details as well as see the bigger picture. 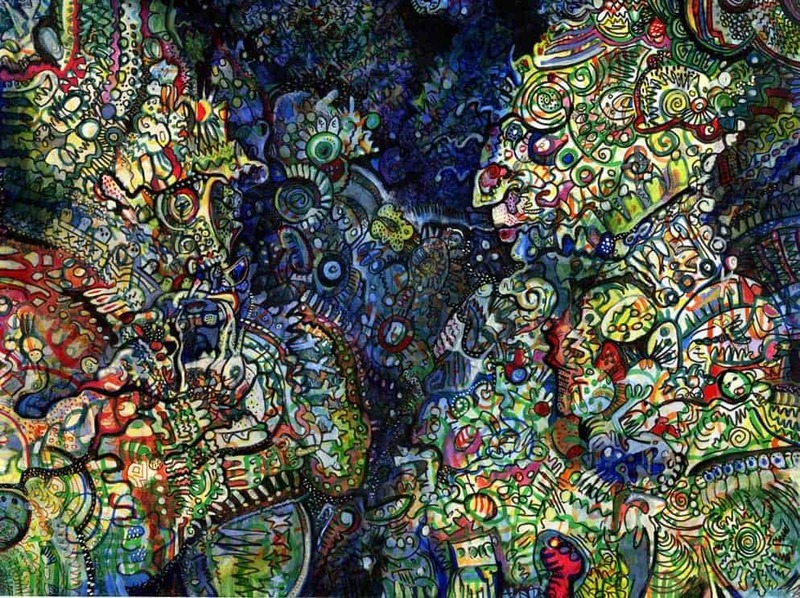 Both dimensions are thoroughly explored during the ayahuasca ceremony. Without the Shamans of the Amazon, this entire experience would not be available to the people and their role is absolutely vital in the process. They are at the heart of the experience, just like we see in this art piece. 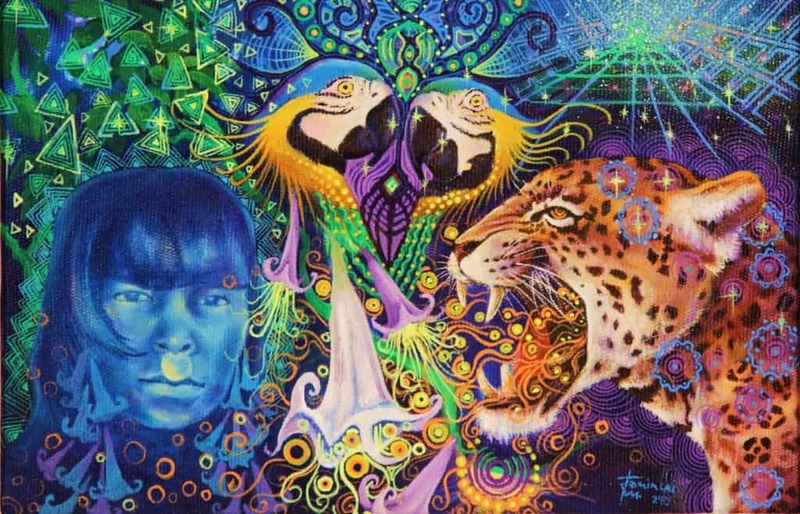 You experience a continuous flow of visions during your ayahuasca journey. Sometimes they can be your personal memories or external planes you have never visited. 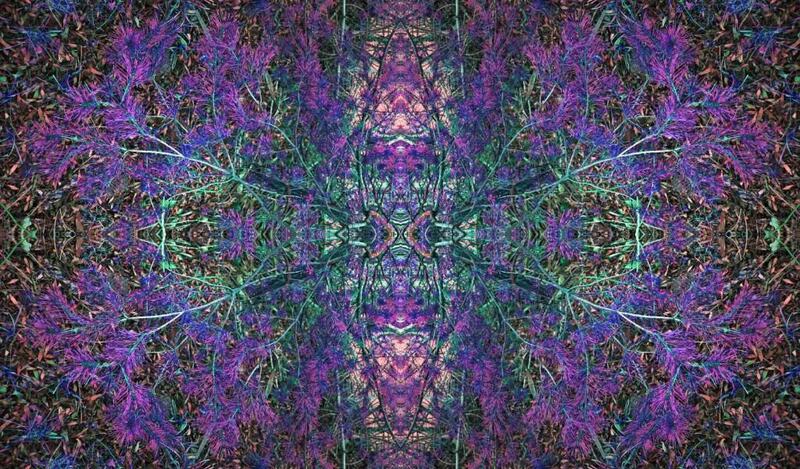 Other times, they look like beautiful kaleidoscopic patterns, just like the one recreated in this art piece. 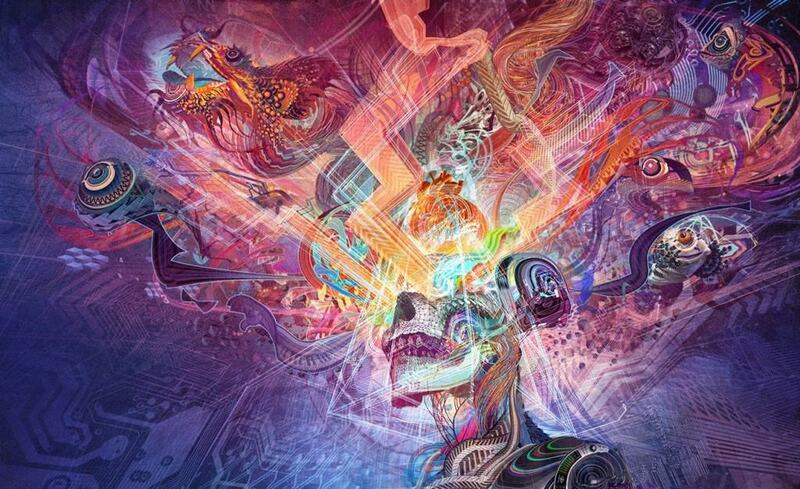 Your mind will never be the same after an ayahuasca experience. 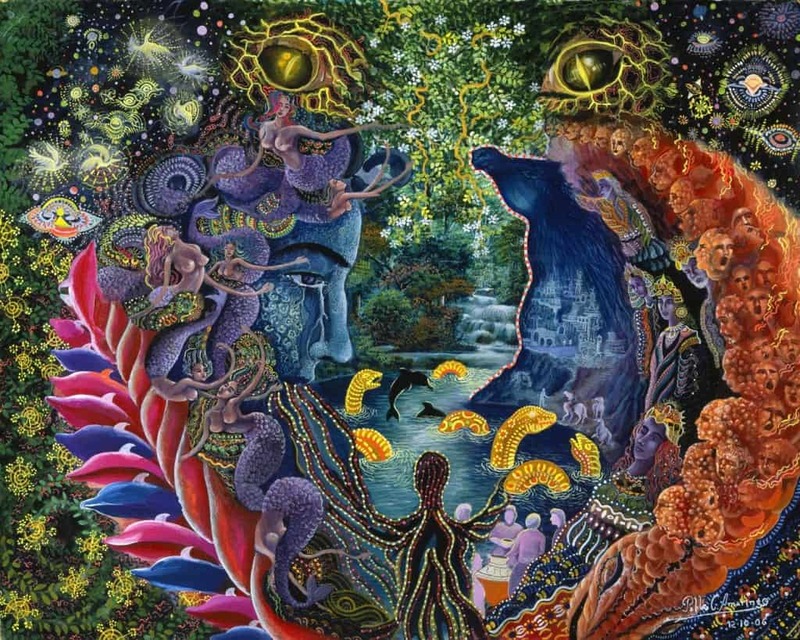 This piece tries to capture the magnitude of activity our brain engages in while participating in the ayahuasca journey.